I have come across loads and loads of different types of quirky subscription boxes but never had I heard of a subscription box for your pet cat. 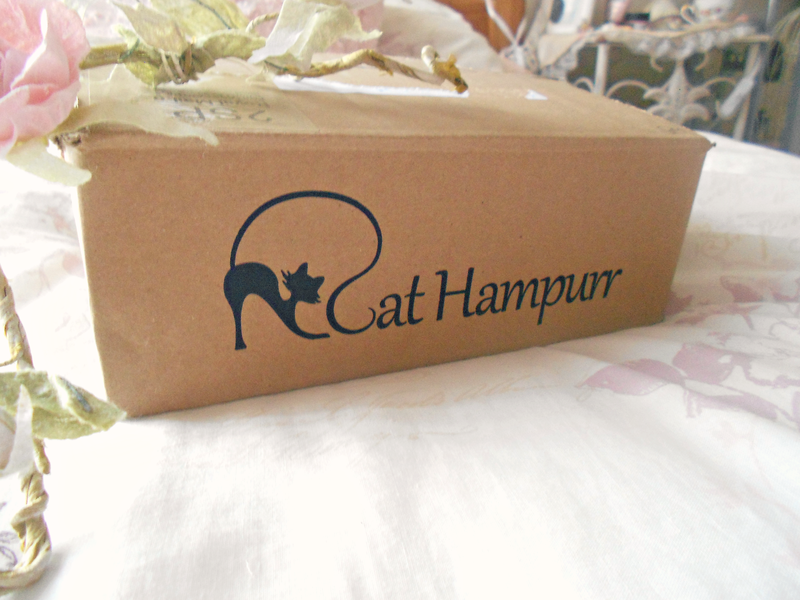 CatHampurr* is a subscription box which is mind-blowing but a puurfect idea? So curiosity got the better of me and I decided I must try one of these boxes out - obviously meaning my cat eats the goods not me...You receive plenty of treats for your pet cat including a little toy which for some reason my cat preferred the box as the toy, not the prawn. Definitely, a lovely little box to get your pet to try new brands out! My cat loves chicken it is probably her favourite meat of all times as she is always getting bits off our Sunday dinner! So I knew she would warm up to these. However, she didn't she completely didn't eat them which is a shame so unfortunately, she ended up wasting both! My cat loved these! There was plenty within the pots and she kept coming back to finish it off. I think she preferred the chicken one more to the lamb as she demolished that off fairly fast. I do like the cute little packaging to these cat foods! Never thought I would hear myself say that! My cat isn't a lover for fishy foods and since she didn't eat the Thrive cat food I had the tiniest feeling she wouldn't eat these too. However, she did she absolutely loved these treats! She has demolished a whole box of them already so we may be purchasing more of these in the future. My cat was straight into the box the second I opened it and rolling around over this prawn toy so surprise surprise she liked it. My cat loves catnip so I had no doubt she would love this. However, because the toy was stored in the box she preferred the box at first and decided to roll around in the box. Cats are unusual species. The treats she did enjoy we fed her them the first day we received this box and I do believe there is currently none left so that went down a treat! Excuse the pun. 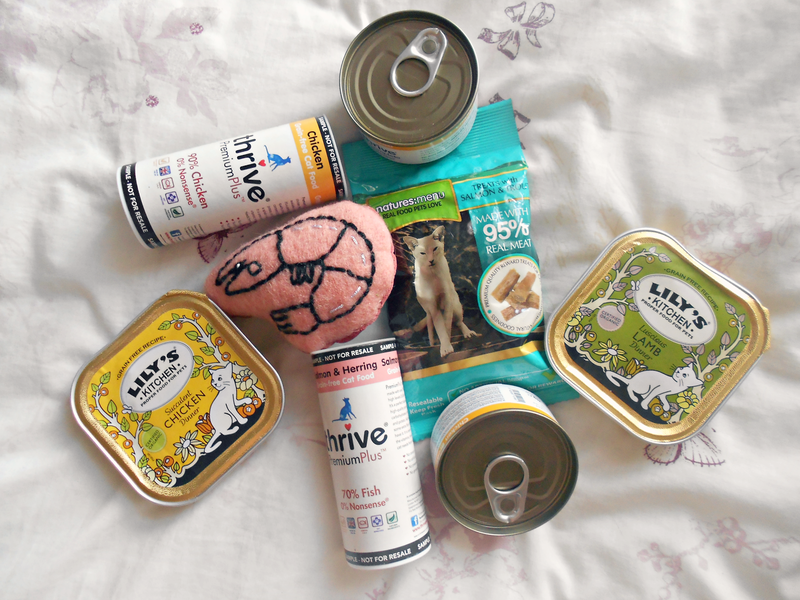 That is everything I received in my Cat Hampurr which I do believe was the August subscription box. I love the idea of this box and I definitely recommend you check out their website or blog to find out what some other lovely cats received! For £6 a month you seriously cannot go wrong. Plus if you are interested in this delightful box I have a discount code: KatiesWOB which will give you a little bit off your box! I love this box and will definitely be considering it again maybe near Christmas! What do you think of Cat Hampurr? I reviewed this a couple of months back, my cats loved it! Oh gosh she actually ruined the box at first she went wild for it and no problem at all happy to do it again! 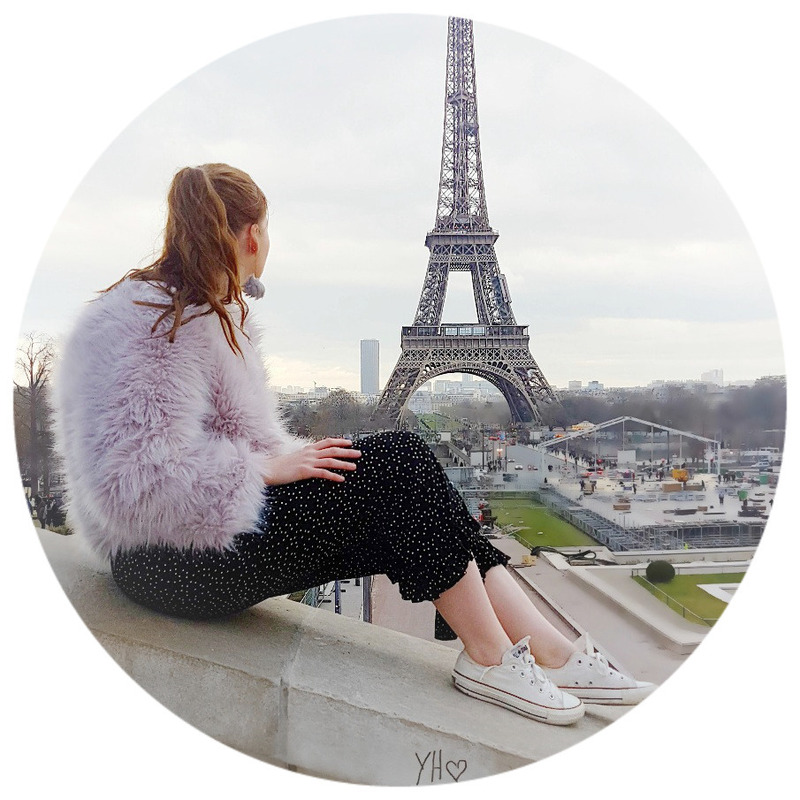 Love this subscription! Cannot wait to review mine for my kitty <3 your cat is cute! aw I will look forward to reading it as I find them so cute! and oh she knows she is honestly.. Both my cats love catnip haha they go crazy, i need a box like this for them!